Hundreds of clear up-to-date images to assist the physician in the identification and treatment of certain vascular anomalies. Expert, state of the art information gathered from industry experts from around the world. Take the quiz after each online course to know immediately how well you retained the information, and to reinforce what you've learned. Register now and receive immediate access to our comprehensive library of vascular anomoly training courses. 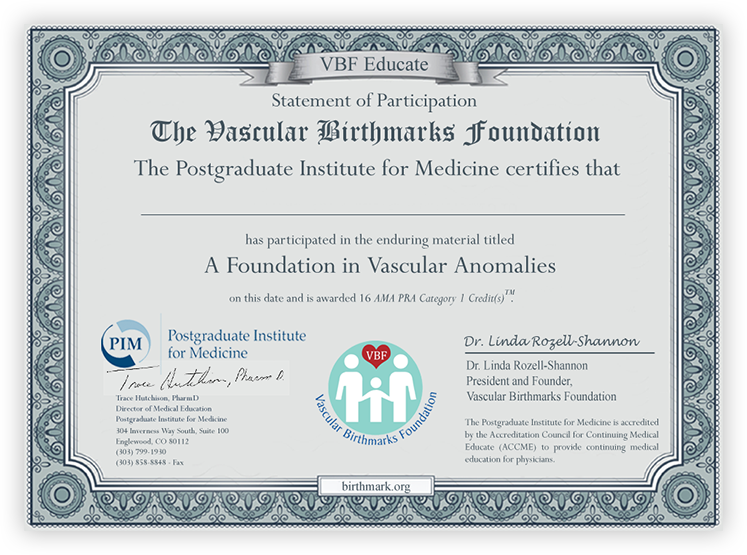 Vascular Anomalies, and earn CME medical credits. What is the next step in the evaluation of a baby with a facial port wine stain and gloucoma?